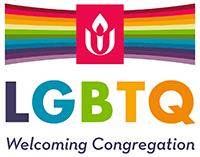 There are many names for the Small Group Ministry that is a vital part of many Unitarian Universalist Congregations: Covenant Groups, Chalice Groups and Sharing Circles. At AUUC these are all groups of 8 to 10 friends and members of our church who meet regularly, usually monthly, to discuss and reflect on life topics of importance to them. Each group has a facilitator, and the groups may meet in each other’s homes or at the church. Groups choose their own direction and pace, and may decide to use one of the many curricula that are available from the UUA or from other sources. These small groups are an opportunity for us to share our stories, find meaning in life, and be with one another, allowing our souls to unfold and connections to be strengthened. All of these are places to get to know other people, and to get to know ourselves. Learning: People come to the church seeking spiritual growth, seeking to know themselves better, to grow into their understanding of the world and to ponder the age-old questions of faith: how to live, what to believe, how to act, what meanings we can decipher from the mystery of life. A Small Group session may begin with the lighting of a candle or chalice, an opening reading, and then a check-in time when participants share news of what has been happening in their lives. The facilitator then introduces the topic and presents questions that will elicit thoughtful discussion and significant reflection. A group may stay with a topic several weeks or be done in one evening. Participants take turns responding to the questions while the others focus on listening only. The formal session may close with a song, a reading, and extinguishing the candle or chalice. For more information or to inquire about joining a Small Group, please email our Adult RE Committee Chair.